Go where no business has gone before with the astronaut stress reliever! Vision these astronaut stress balls customized with your logo. The astronaut theme is perfect for many industries including travel, science, outdoor, education, or any company that wants to let their clients know they can shoot for the moon! This astronaut stress ball can express your company's mission or expresses a feeling you wish to convey. 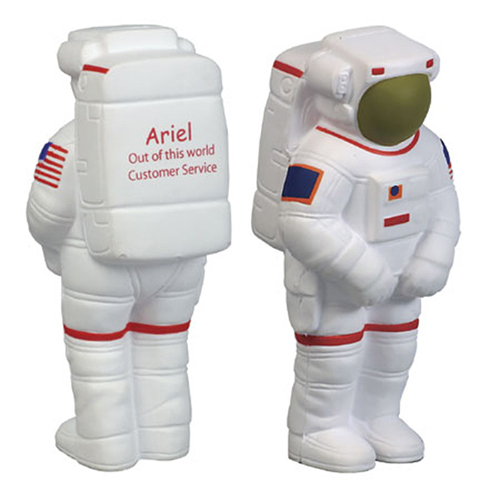 The astronaut stress ball tells your client that your services are out of this world! Item Size : 2-1/4" x 4-3/4" x 1-7/8"